The microwave is one of the most popular appliances in the home. This small appliance heats up your favorite snack in seconds. It is easy to panic when they break down. No instant popcorn! No warming up leftover pizza! What is a person to do? 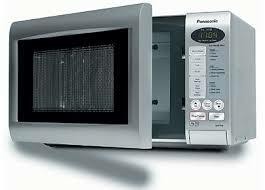 You call us for fast microwave repair in Woodbridge. Our experts will fix any microwave make or model. We service counter top models and ranges too. Don’t throw your unit away, give us a call today! A microwave should not be thrown away because it stops working. It may cost less to fix your appliance than you think. Your unit may look like new. It has always served you well. Don’t give up on it so fast. Our techs know a thing or two about these small appliances. We know what it takes to keep them running right. At Appliance Repair Woodbridge, we help you get the most out of your microwave. There is only one company to choose for reliable microwave service. We have the experience and skills to service all brands. Every factory-certified part we need to fix your appliance is in our truck. We won’t waste your time making unnecessary trips back to the office. Time is money. We come to the job prepared to provide quality results. You turn on your microwave and nothing happens. You panic. We ask you to stop and take a deep breath. First, check to see if the unit is plugged in. If it is, check the breaker. If these are not the problems, give us a call. Don’t toss the appliance into the trash. This will not solve a thing. In the end, it could cost you money. Let our experts provide affordable microwave repair instead. Don’t go one single day without your microwave. You shouldn’t need too. Get in touch with our friendly staff. We will provide the Wood bridge microwave repair service you need.